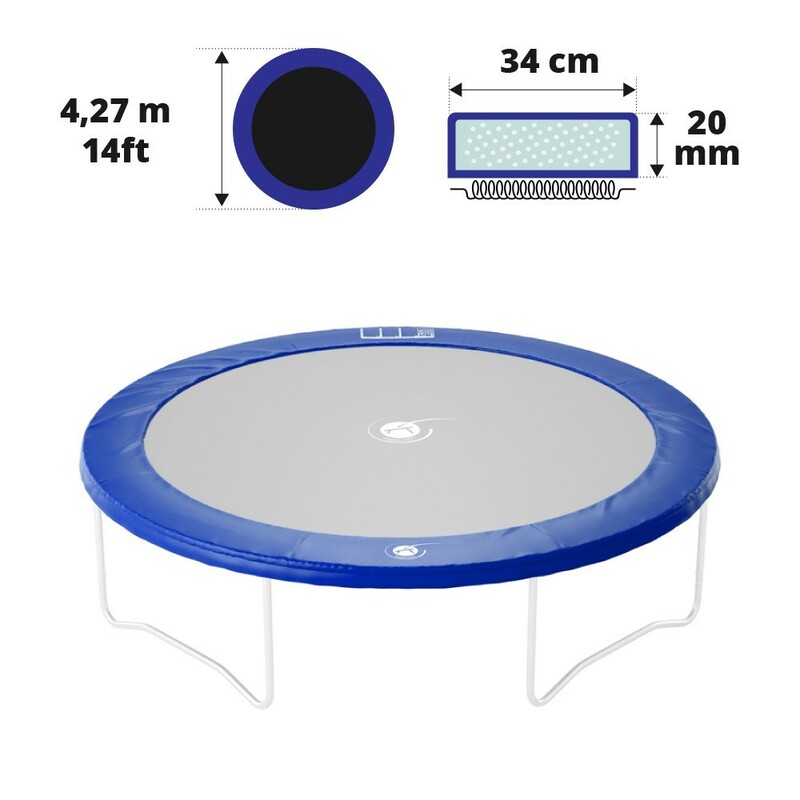 Blue frame pad for standard round trampoline of 4.30 m.
For a round trampoline with a total diameter of 4.27 m.
If one of the components on your trampoline is worn, then it is highly recommended to change it. The frame pad is one of the essential safety components for your trampoline. 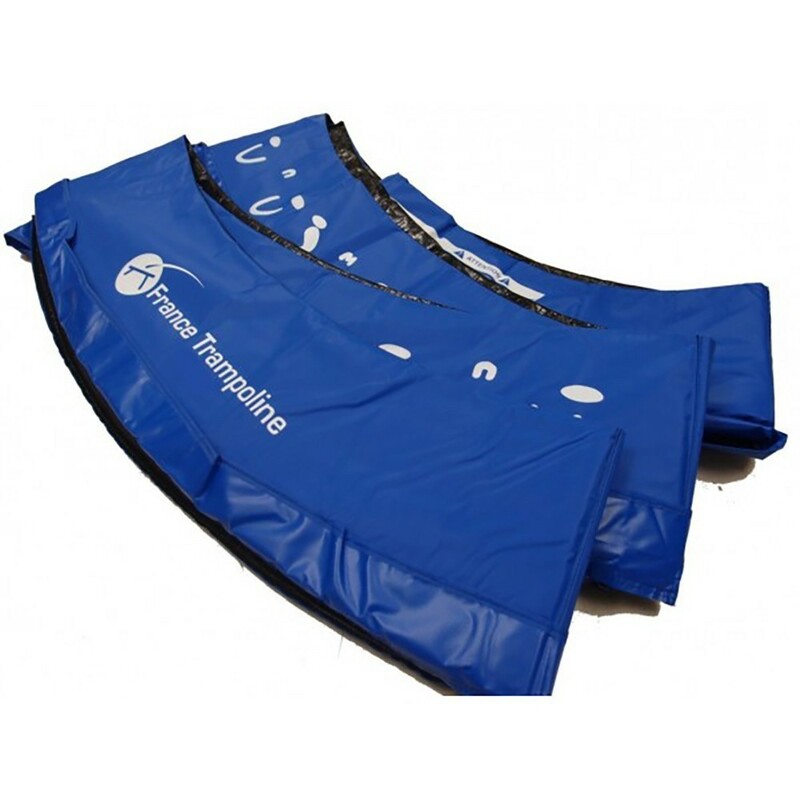 This blue frame pad is adapted to any trampoline of 4.27 m in diameter with springs of 180 mm in length. - If your trampoline is part of our Access 390 and Jump’Up 430 trampoline ranges, or if your trampoline has the same diameter and has springs of 180 mm in length, than this blue frame pad will be ideal. Be careful to measure your trampoline from steel edge to edge. - This spare part has been designed using EPE monobloc foam with a 25 mm thickness. This expanded polyethylene foam is very weatherproof. As it is waterproof it will be more resistant to frost. - This frame pad is designed using a monobloc of foam, contrary to other pads, made of multiple small layers of foam, which are more fragile. 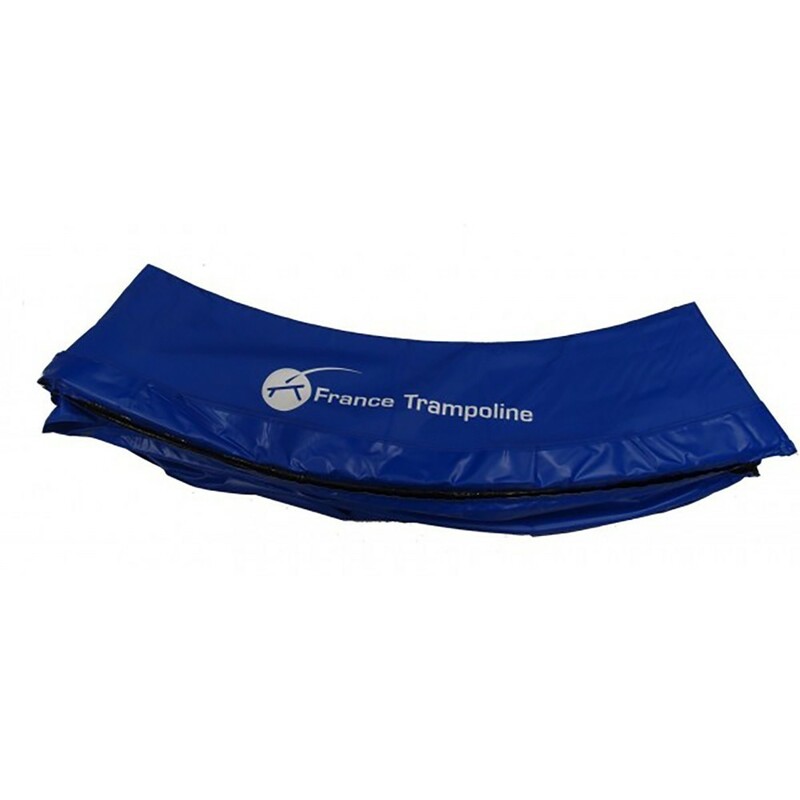 France Trampoline guarantees a shock-resistant, quality product. - The PVC which covers the foam is much thicker than what is usually found on supermarket trampolines. This PVC of 650 g/m² in density has been UV protected, this is a high quality PVC. - To ensure that this spare part is correctly fitted and held in place, the frame pad is delivered with 16 black elastic straps. They are threaded through eyelets in the frame pad and are then attached to the framework. The part of the frame pad which rests on the jumping pad is therefore flexible, to ensure that it does not get damaged from repeated friction when your children are jumping on the trampoline.